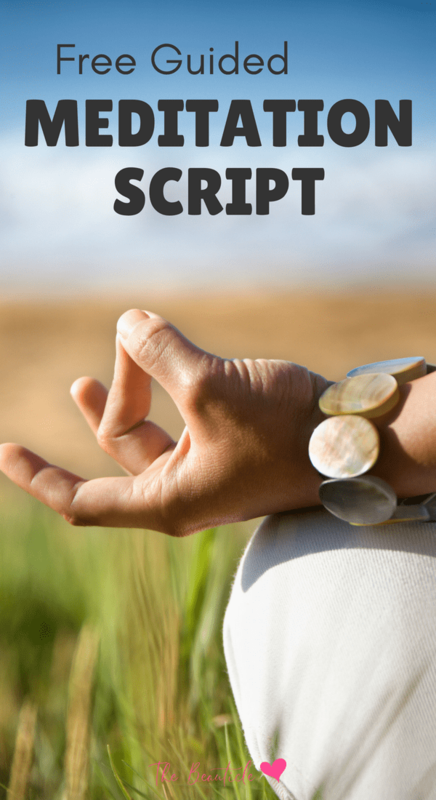 If you’re looking to deepen your own meditation practice or teach others how to meditate, meditation scripts will come in handy. Read on to learn how these guided visualisations can be used to quiet your mind and find inner peace. The psychological benefits of meditation are many. Researchers and doctors all over the world are realizing just how powerful meditation can be. With stressful jobs, family responsibilities, and a never-ending list of things that need to be done, quieting your mind can prove to be a difficult task. Meditation scripts can help to still your thoughts, allowing you to be guided to visualise what’s being described and distracting you from stressful thoughts. According to Psychology Today, neuroscientists have found that the brain waves of meditators show they are healthier than their non-meditating counterparts both physically and mentally. Meditation can help people feel less anxious and more in control of their lives, which all of us could use a bit of. Numerous sources state that when practised routinely, the meditative state can lead to supreme bliss or enlightenment, which is the desired natural spiritual outcome of the practice of yoga and meditation. Regular meditation increases blood flow to different parts of the body, therefore increasing oxygen and other nutrients available at the cellular level, which also increases concentration. If you’re looking for a way to reduce your stress levels or anxiety levels, meditation is supremely helpful. A guided meditation can help those who are new to meditation or find it difficult to pause their thoughts. In a crowded world with stressors piling on high, it can be difficult to sit still and quiet the mind. With the help of a guiding voice, many people who are new to meditation have found it easy to achieve a much needed quiet moment during the day. Guided meditation can you to focus on your thoughts and block out any distractions in order to experience the pleasure of silence for a moment during the day. A guided meditation happens when instead of trying to quiet your mind yourself, you listen to the words of a recorded meditation or a live one in a meditation class. You are guided by meditation teachers and long-time practitioners who have studied the practice and know how to ease your mind and take you to a place of peace. You can also find meditation scripts on websites such as the one below and read it out loud to yourself or record yourself to listen when you’re ready to meditate. Guided meditation helps people to follow the stages of meditation, allowing you to go as deep into the process as you decide you would like to go. The voice assists you to keep on track. The benefits of properly guided meditation can span from relieving migraine headaches to relaxing cramped muscles to a simple moment of pleasure, satisfaction and quiet. Over-stimulation and stress are both problems that many people deal with on a daily basis. These daily stressful situations and the exposure to too many over-stimulating activities can seem to be normal and accepted conditions that everyone takes for granted as standard. Although most people are dealing with these situations on a regular basis, it doesn’t mean that these situations do not still put stress and tension on your body and mind. If you feel stressed and hopeless about a current home or work situation, you may think that a vacation or some other break from daily life is the way to relieve this stress. However, a retreat from basic stresses is only a temporary fix from anxiety. In order to have the ability to deal with the tensions that life can put on your body and mind, a guided meditation can teach you how to handle daily life with ease, patience and a clear mind. By creating a moment in the day to connect the mind, body and soul in a calm and hushed manner, you may find your stressful days don’t seem as stressful anymore. Guided meditation can help you to realize the many options you have when dealing with the daily tensions of the workplace or home environment. By possessing the foundations of guided meditation, the situations that can usually seem impossible to stay calm through can now seem easy to think through and figure out. For beginners and even those who may want a change in practice, guided meditations are excellent to help you to concentrate better and easily achieve the full benefits of a meditative moment. Guided meditation can also help advanced meditation students to hold your concentration and learn new and more developed techniques to make your mind and body slip deeper into the meditative state. 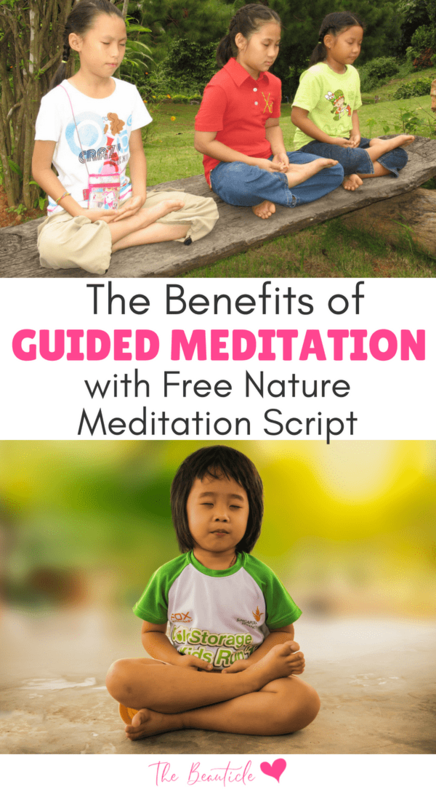 You may use a guided meditations in several ways to achieve the benefits to be had. Try any one of the below to mix up your practice and find new ways to be mindful. Use it in writing meditation – simply write out the meditation in your journal to allow it to free the mind of your current thoughts and take you to a calm and meditative place. Record it – use your phone’s voice recorder and record the meditation script in a low, calm and soothing voice. Then, listen to this meditation while sitting quietly in a room with no distractions or on a walking meditation while out taking a walk. The below is a guided meditation script that you can put to use in your practice. If you do decide to record the meditation, remember to use a slow and gentle pace with a low, calming voice and pause after each sentence for lots of quiet time. You are sitting by a quietly flowing stream in the countryside. It is spring and life is green and moist. Sitting on a rock, the sights and sounds of the flowing water begin to work their mysterious way into your body. You feel somehow sedated, as if the forces of nature have conspired to put you to sleep – to put you at ease. There is nothing to do, nowhere to go and nothing to think of. Just sit peacefully and absorb the good vibrations which flow into every part of your being, whispering, «be at peace, relax my friend, all is well now». A delicious sleep falls upon you; not really sleep but a half-conscious-half-sleep state, in which the trees, sounds and breeze begin to come inside and mix with all of the thoughts and feelings. It is as if the door of your mind has been opened and all of those conversations, actions and perceptions lying unresolved, floating at various depths in the sea of the mind begin to float upwards and outwards. We dance in our sea of consciousness, sometimes floating up to the surface catching the sensation of the breeze, or the warmth of the sun. Then we dive downward into a stream of upward floating thoughts, images, sounds – all the dislodged refuse from nervous stresses and unresolved problems. But the dance goes on, we begin to sink again, for by now we see that we cannot really dive because diving is too intense – there is too much effort – we get hooked too easily on upward floating garbage. Now, we are no longer concerned about where we are going. The water becomes clearer, free of debris. We have gone beyond the levels of stress release, past wreckage of old memories, relationships, failures and traumas. We have danced through the caverns of resentment and worry. We are coming to the source of our life current, the spring of pure consciousness. Here we may encounter pure light or energy. Only subtle vibrations exist here. Our bodies become recharged with life. Our consciousness is renewed as we have cleared the way for a burst of fresh energy to flow, purifying the sea of consciousness, regenerating the mind, giving new life to every cell of our brain. Here there is not even energy; no body, no mind, no light, no sound – absolute nothingness – total vacuum – only tremendous potential unmanifest Divine Consciousness, from which all life and material creation flows. The sound of chirping birds greets you as you slowly float to the surface. The branches dancing in the wind wave «hello». The sounds of insects buzzing and water splashing salute you with a «welcome back friend, you are part of us now». Adapted from the book “The Art of Meditation” by Robert Elias Najemy. Most everyone has – either to a stream, river, mountain, sea, or forest. And how well and rejuvenated we feel when we return. Somehow everything is more alive, more harmonious. Can we go to the stream every day? It certainly would be nice, and life would be much less complicated. Of course for most of us it is completely impractical in terms of time, money and availability of such places – especially to those of us who live in the city. Well, Mother Nature has a secret for us. We don’t have to go anywhere at all. The stream of life, that place of peace and source of strength, knowledge and harmony – lies right inside every one of us. What is meditation? It is nothing more than visiting this stream on a daily basis. Simply it is the sinking dance into our sea of consciousness, releasing the submerged stresses and coming to the point of inner stillness where there is no object of consciousness – but consciousness itself. Ultimately, the only way to know if meditation will be useful for you is to give it a try. To spend some time each day in the «dance of the soul». If you’d like a printable copy of this meditation, enter your details below and it will be sent to your inbox.